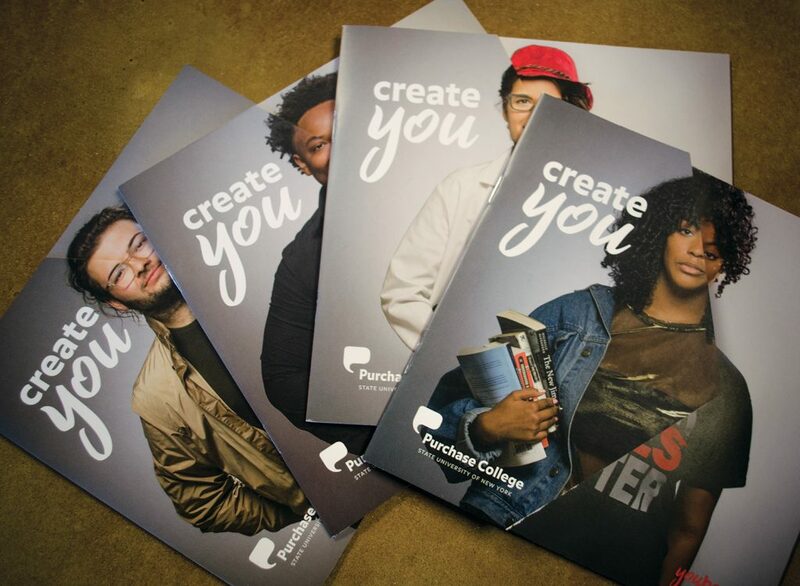 The SUNY Purchase ‘Create You’ campaign was intended to speak to prospective students about how Purchase could help them take steps towards becoming who it is they want to be. 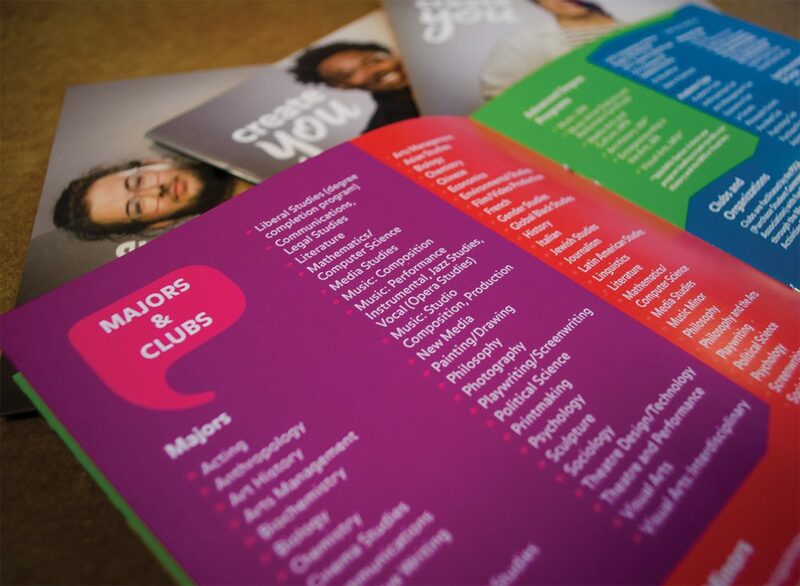 The piece extended beyond academics, highlighting clubs, connections, and community they would be introduced to and become a part of while attending the college. We wanted to show the individualistic nature of the Purchase experience, a heavy lift for an eight-page booklet. 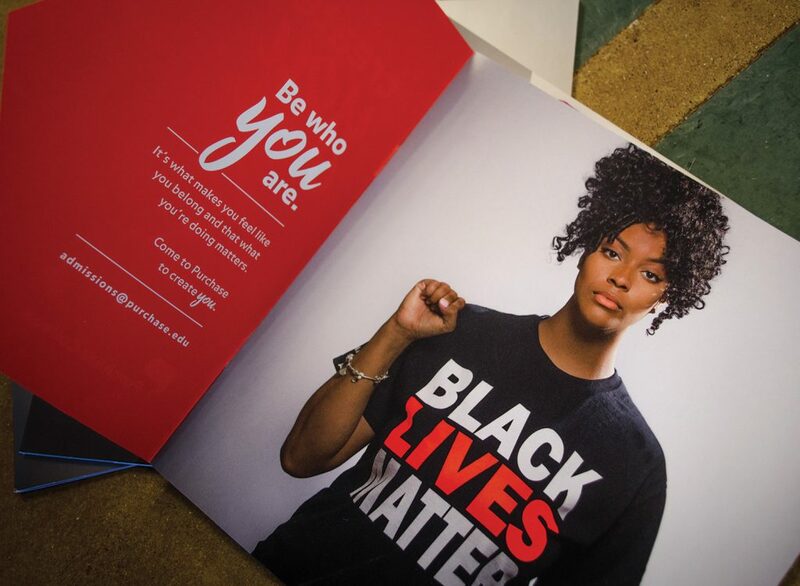 We honed in on demonstrating the way students have more than one side to them, reflecting the mirrored importance of their campus life and the things important to them outside of academia. Integrating overlaid cover images and using an angled die cut revealing the image beneath, we designed an approach that let us do more than a traditional viewbook. Put more simply, we designed extra covers. We intended to produce multiple versions, six total, to cover the wide range of interests, studies, causes, and talents of the student body. To further this exploration into the students’ true personalities and to represent the freedom offered to them at Purchase, we allowed the students to costume themselves, no limits or censoring from the college or ourselves. Reading between the lines you could say that we created an unpredictable scenario with an incredible reliance on accuracy and continuity. We worked, on-site, with the incredible Kelly Campbell, a photographer closely associated with the college, to stage identical photos in completely different costumes for the die cut covers. The final result was, in my opinion, a great victory in producing unique higher ed content and overcoming the difficult production hoops one has to jump through when running wild with a unique idea. While working on this project I felt as though I was also undergoing my own version of the ‘Create You’ experience. It was an overwhelming and exhausting series of firsts. 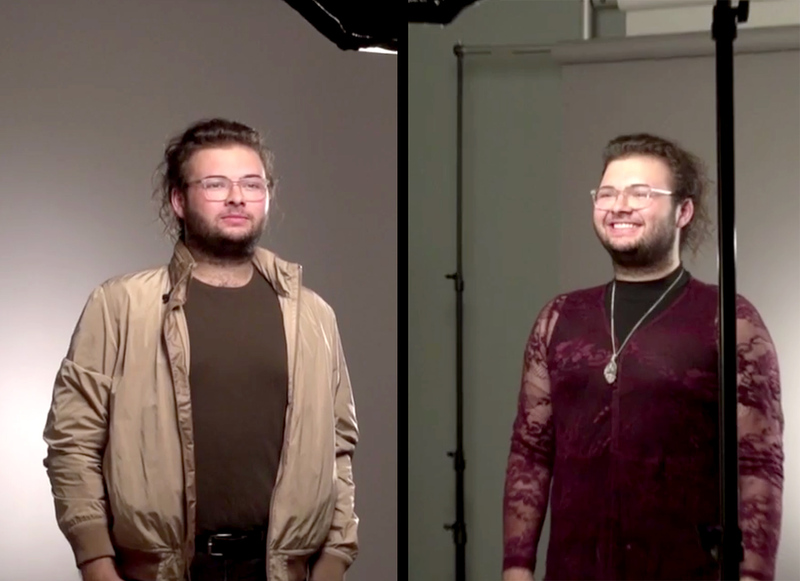 Rob works to set up the shot of a SUNY Purchase student, which will then be recreated with the student in an entirely different outfit and vibe. The first time I had to fully execute a concept that was not my own. The first time I had to consistently travel for work. The first time collaborating with a freelance photographer. 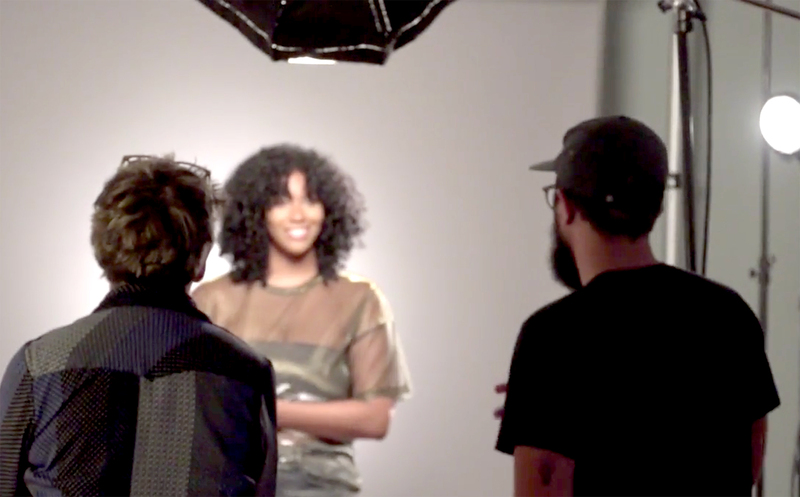 The first time allowing models to outfit themselves (I’m still sweating). The first time helping oversee the production of such a complex print piece. All firsts, of which I hope there will be seconds and thirds and so on, and all things that will help to make me the designer/art director I want to become.